So, it looks like I was had. Earlier this week I covered (and got pretty irate about) an upcoming app which claimed to let you find anyone's Facebook profile by taking their picture and doing a kind of reverse image search. I was far from the only person to be taken in by this hoax, and it turns out that the people behind it were trying to make the same point as all the critics. Well, it might have been, or it might have been a marketing firm grasping for their 15 minutes. It was Mashable who managed to uncover the hoax. Following on from the leading story in the Telegraph, they tried to get in touch with Facezam's alleged CEO Jack Kenyon, but after they sent over a few basic legal queries, he vanished. Not only that, but no Google searches could uncover any information about him, and the website and Twitter page for the company were both suspiciously sparse. Add to that the fact that Facebook said they'd never given any permissions of any kind to Facezam (something which I admittedly knew at the time of writing) and the picture starts to come together. Their domain name was even registered anonymously. Eventually, Kenyon (or whatever his real name is) spilled the beans, revealing that they had planned to admit it was a hoax on the app's launch date (March 21st) but the reaction had been so disproportionately massive that they had put a rush on things. Facebook, and the wider world, can rest easy. Of course, this kind of thing does happen for real. 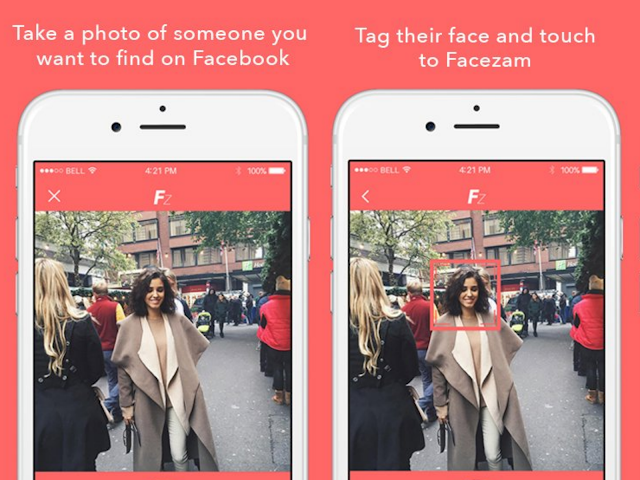 Google ran into some difficulty with it when NameTag tried to turn Google Glass into a stalker's paradise, and another app called FindFace still exists, although that one uses image data from VKonkakte - Russia's largest national social network. Nobody in their right mind would ever disagree that 'ending anonymity' is a good idea, and thanks to the Facezam prank now a lot more people are thinking it. More to the point, Facebook, Microsoft, Google and others have all been developing far more accurate facial recognition software, and the more that technology develops, the easier it will be to do exactly what Facezam claimed to be doing. It's yet another demonstration of the fact that we need to show tech developers what we do and do not want, rather than letting them decide for us.